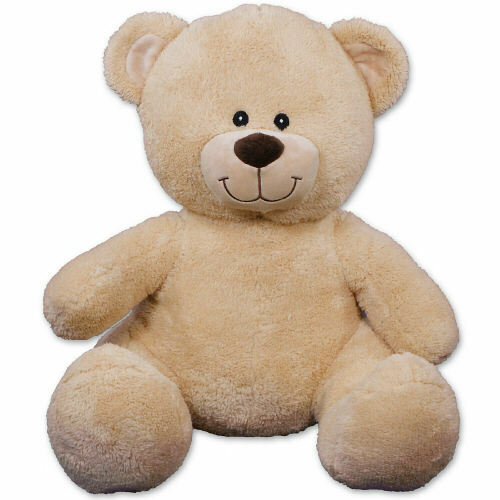 Personalized I Love You Teddy Bear - 21"
The love you share with your special someone is like no other. 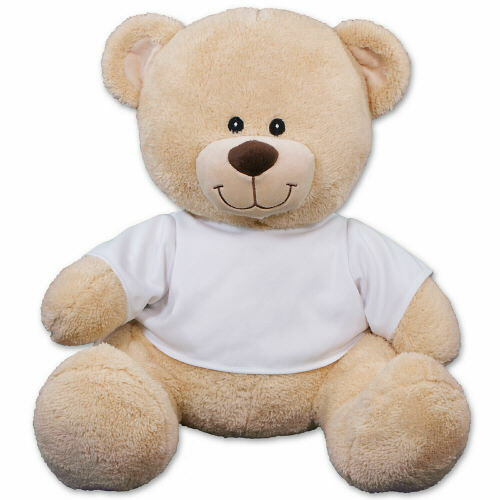 Let them know just how special they really are with our "I Love You" teddy bear. This romantic, festive design is featured on our 21” Sherman Teddy Bear. Sherman has an irresistible look on his face along with a wonderfully soft feel. He features contrasting tan fur on the inside of his ears and his snout. Personalize Sherman’s shirt with any two line custom message for free! Free gift wrap and message are included to create a thoughtful presentation. The was perfect! ... soft , yet firm where it was needed most! Seems very durable!! Additional Details Shop all of our Valentine's Day bears to find the perfect gift for your sweetheart. Personalized I Love You Teddy Bear-21"